Laveda “Sue” Garrett, 76, passed away peacefully at her home Monday morning, February 4, 2019. A Memorial service will begin at 10:00 a.m. Friday, February 8, 2019 at Lost Creek United Methodist Church, with a family committal following in Sunset Memorial Gardens. Honorary Pallbearers will be her grandsons. Sue was born in Stillwater on October 16, 1942 to Carl and Laveda (Eaton) Miller. She was a graduate of Stillwater High School, and was a longtime Administrative Assistant at PepsiCo. She was also a member of Lost Creek United Methodist Church. Members of her family include her beloved husband Wilson Garrett, whom she married in 1970; her children: Mark Bunch and wife Jill, Bill Bunch and wife Julie, Steven Bunch and wife Marie, and Jami Grantz and husband Arron; her brother Bill Miller; grandchildren Justin Bunch and wife Andi, Cole Bunch and wife Tiffany, Tara Elliott and husband Tyler, Kristin Brown and husband Kyle, Brettney Graham and husband Austin, Grace Heslep and husband Jonathan, Thomas Bailey and wife Hannah, Katelyn, Taylor, Chance, Connor and Joseph Bunch and Garrett and Emma Grantz; great-grandchildren MaKyla, Aubri, Eli and Gavin Bunch, Tenlee and Teagan Elliott, Daphne Brown, and Renee and Riley Rumford; and numerous other family members and friends. Sue is predeceased by her mother, father, and step-father, as well as her sisters Donna and JoAnn, and her son Gerald Brent Bunch. Those wishing to honor Sue’s memory may do so by contributing to the Lost Creek United Methodist Church Alaska Mission. Strode Funeral Home and Cremation is in charge of the arrangements. 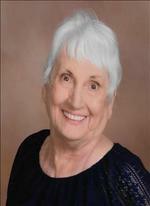 To send flowers to the family of Laveda Sue Garrett, please visit our Heartfelt Sympathies Store.